Civilian Public Service camp 55, Belton, Montana. The Trailmaker was a newsletter published by the men at Camp 55 from November 1942 to December 1944. CPS Camp No. 55, a National Park Service base camp located in a former Civilian Conservation Corps camp near Belton, Montana operated by Mennonite Central Committee, opened in September 1942 and closed in October 1946. The men worked to suppress and prevent forest fires, control tree disease, and maintain the park. CPS Camp No. 55, housed in a former CCC camp just inside Glacier National Park, was a half mile from Belton, Montana, a flag stop on the Great Northern Railroad. The Middle Fork of the Flathead River flowed nearby. The town name changed from Belton to West Glacier in 1949. Thirty-one assignees transferred from Colorado Springs CPS Camp No. 5 and Fort Collins CPS Camp No. 33 when Belton opened. Two months later one hundred and fifty men from nineteen states, eleven CPS camps and ten denominations made up the camp community. Spouses of some married men followed them to the camp. Due to an anticipated heavy fire season in 1945, Selective Service transferred additional men so that the camp number grew to two hundred and seven. The majority of the assignees reported religious affiliation as Mennonite when entering CPS. 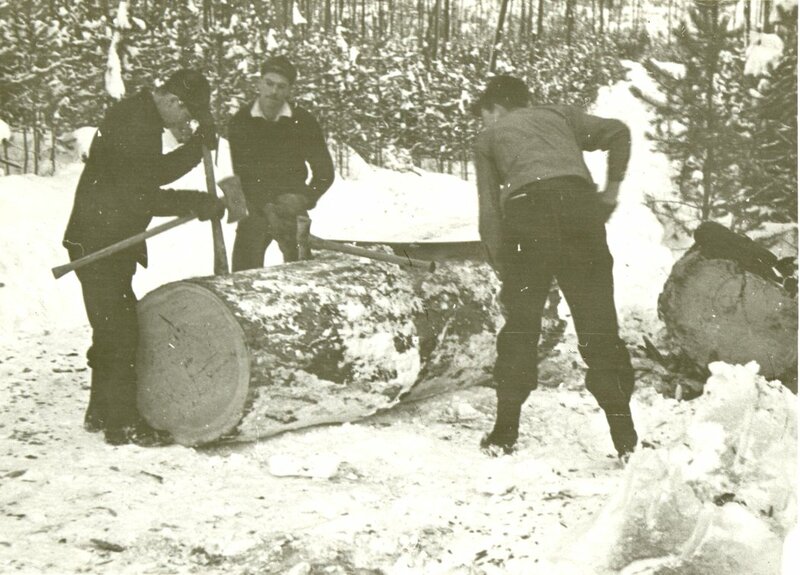 During the war emergency, CPS men provided man power for forest fire pre-suppression and suppression, fire hazard reduction, tree disease control, as well as limited maintenance of camp grounds, trails, roads, buildings and related work. The men worked to control tree disease in both Glacier National Park and Yellowstone National Park. During the winter, the men cut down snags in burned out areas. In the winter of 1943-45, they cut one hundred thousand board feet of timber used to repair and build trails and wagon bridges. In spring they repaired and maintained one thousand miles of trails in the park. For recreation, many of the men made crafts of leather. During the summer of 1945 John Thut conducted a ten-day music institute at the camp. William Unruh served as pastor during July and August, 1946. 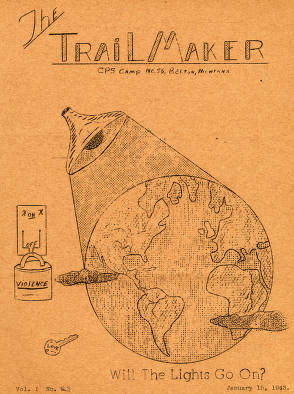 From November 1942 to December 1944 the men published a camp newsletter, The Trailmaker. For more information on Belton and other MCC Park Service camps, see Melvin Gingerich, Service for Peace: A History of Mennonite Civilian Service. Akron, PA: Mennonite Central Committee printed by Herald Press, Scottdale, PA 1949, Chapter XIX, pp. 149-161. See Kevin Grange, “In Good Conscience”, National Parks (Winter 2011) http://www.ncpa.org/magazine/2011/winter/in-good-conscience.html?